How to use the hop-on hop-off bus in NEw Zealand. Hop-on hop-off: it’s as swift as the movement suggests. This bus concept works particularly well for backpackers and working holidaymakers who want to see the whole of New Zealand at their own leisure with maximum fun. Hop-on hop-off buses are flexible tours allowing you to hop on the bus and hop off the bus almost whenever you like, so you can shape your bus journey around your desired trip. But how does the hop-on hop-off bus in New Zealand work? For most backpackers, the “hop-on hop-off” concept is pretty new, so that’s why we’ve lovingly thrown together this guide on how it all works. But if you don’t know what this type of backpacker bus is, then take a step back to What is a Hop-On Hop-Off Bus? Travelling with Stray, Kiwi Experience or Flying Kiwi. The hop-on hop-off bus companies in New Zealand are Kiwi Experience (the green bus), Stray (the orange bus) and Flying Kiwi (the blue bus). They all have their own little charms with unique overnight stops and slightly different routes. However, the way Kiwi Experience and Stray work are very similar, allowing us to explain them both in this article. Yay! Flying Kiwi works slightly different as they have camping accommodation and most meals included in their trips. For more information on Flying Kiwi, dive into our explanation on how Flying Kiwi works. National passes are usually valid for a whole year while shorter passes have a time limit. Driver guides book your hostel and activities, while giving you their insider knowledge of New Zealand. Hostel accommodation is usually a bunk-style dorm. Bus journey’s are action-packed with walks, photo opportunities and activities. You pay for food, hostel nights and activities of your choice. How much time do you have? What part of New Zealand do you want to see? These questions help you decide on what pass to choose for your bus trip. Most of the time, backpackers are keen to see the whole of New Zealand, and we couldn’t recommend that more! Choosing a pass that covers most parts of the country is the popular option. However, if you have limited time or maybe just want to experience, say, the South Island on the hop-on hop-off bus, then there are passes just for that. You can purchase your pass in advance, but you do not have to decide on travel dates straight away. Your 12 months pass begins from the day you start travelling and you have a year to make your first booking to travel. Also, you don’t need to worry too much about what the full price of the bus pass is. More often than not, the passes are on sale, so check the websites for their up-to-date prices. 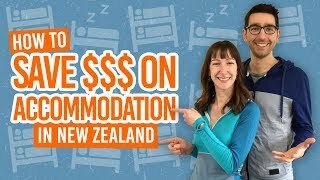 Check out our tips on 5 Tips to Get a Better Deal on a Backpacker Bus Pass in New Zealand. Once you have purchased your bus pass, you will receive a passenger number. Keep this safe! You will need the number every time you want to book the next bus to hop on. Our tip: save your bus company’s phone number in your contacts with your name and passenger number. All you would have to do is look at your phone while you are calling the reservations team. Easy! Ready to hit the road? Have a look at the bus timetable, usually found on the bus website or app, to see when the next departure is from your starting point. To book your place on the bus with Kiwi Experience, all you need to do is call the reservations team or flick them an email. With Stray, you can call their reservations team or book online. The friendly team at Stray or Kiwi Experience will let you know the location of departure and the departure time. They will also inform you of this itinerary via email. Make sure you show up about 15 minutes before departure! Don’t set the tone for the rest of your trip by being late for the first day. You just wouldn’t want to be that guy. While you’re on the road, they’ll be lots of opportunities for Kodak moments, so you are never sat for too long on the bus without a break. Your driver guide will pick out some great short hikes and points of interest along the way, which of course means there’s some free activities! More than that, there’s plenty of activities to do when you reach your destination for the day. 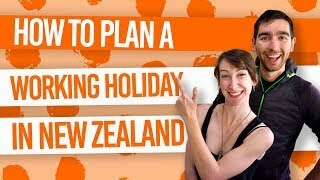 We’re talking about all those bucket list activities such as, skydiving, staying in a marae, kayaking, bungy jumping, Hobbiton, white water rafting, dolphin swimming, etc. Your bus driver will be able to book you into your activity of choice. This is organised by passing a clipboard around the bus and you just simply sign up. You will pay for the activity once you get to it. Beware: that clipboard can be oh so tempting! It’s easy to just sign up to everything on the list, because it all sounds so good. This is where actually making a bucket list comes in handy, so you can select the activities you really want to do and you will stick to them and your budget. That’s not to say you shouldn’t do something spontaneously, but just do what your budget will allow. For more tips, take a look at How to Budget for a Hop-On Hop-Off Bus Trip Around New Zealand. Conveniently enough, your driver guide books your first hostel night in each overnight location for you too. This will be another clipboard that makes its way around the bus, so you can say what type of room you want to be in and for how many nights. Remember, your bus company can only guarantee you the first night in their chosen hostel, other nights you may need to book in advance, especially in the summer season. That’s not to say that you cannot chose your own hostel to stay in that night. A few passengers do just that! Your driver will likely be happy to drop you off at the door of your chosen hostel. However, in our experience, it’s much more fun to stay with the group you have been travelling with for the day (or few days), so staying in the bus’s chosen hostel tends to be the more social option. 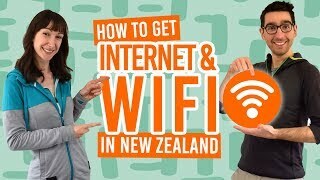 As long as where you want to hop off is along the bus route that is on the main route (not a side route that uses a partner company of Stray or Kiwi Experience), you can hop off anywhere, even between overnight stops. The great thing about the hop-on hop-off bus is that you can stay off the bus for as long as you like. If you have the time, take advantage of the fact that you can thoroughly experience a place. Remember, the national bus pass is valid for 12 months! If you want to start working or WWOOFing as part of your working holiday, just hop off the bus for a couple of weeks, even months. Some backpackers will use the hop-on hop-off bus as a means of getting around the country, while hopping off and taking side trips to all those unexplored hidden gems. Nevertheless, you’ll still get to experience some remote locations and see the true New Zealand with some of the overnight stops included with both bus companies. When you are ready to move on, just check the next departure date, book your seat on the bus with your passenger number, and hop back on on the date and location arranged. Our tip: as soon as you know the dates you want to travel again, book your place on the bus, especially in the summer when it is the peak season for the buses. Want to learn more about this whole bus thing? We have an article or two about that. What’s the Difference Between Coach and Hop-on Hop-off bus?